The European Commission must secure debt relief terms by the end of the year, according to a letter from group of 36 MEPs seen by Euronews. 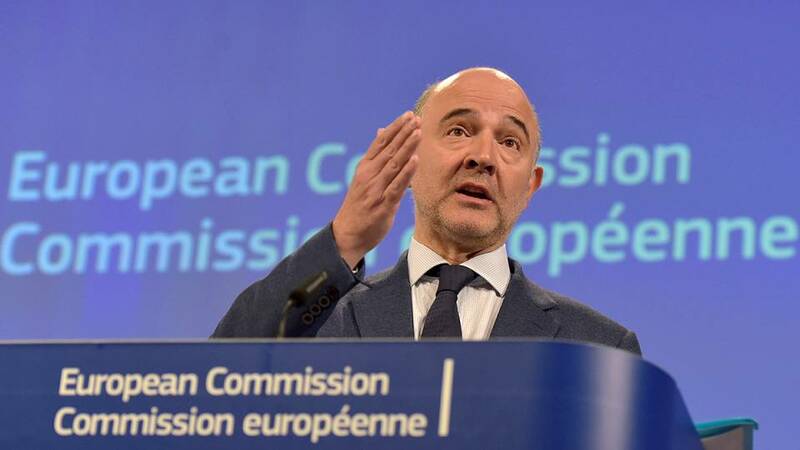 As the country struggles to convince creditors about its reform programme, the MEPs have written to economy commissioner Pierre Moscovici to urge him to back the IMF’s call for an urgent reduction in the total repayments demanded from Athens. The MEPs, including Guillaume Balas, Sergio Cofferati, Fabio de Masi, Eva Joly, Curzio Maltese, Emmanuel Maurel, Dimitrios Papadimoulis, Georgi Pirinski and Ernest Urtasun, stress that “debt relief discussions, as part of the agreement, have to be opened as soon as possible, concluding by the end of the year with a clear road map for debt relief for Greece”. This is also the position of the IMF. The question of easing Greece’s €311bn debt burden, worth 177% of GDP, is the key for the International Monetary Fund in order to participate in the current bailout program. The fund hasn’t yet been involved in Greece’s third program, because it believes the fiscal targets set for Greece by the eurozone will never be achieved without a generous debt relief. And that brings the fund at odds with the German government. Last week, the German Finance Minister Wolfgang Schauble repeated once more that the Greece’s problem is not the debt but gaining competitiveness. Following the discussion on the «Commission Statement – Macroeconomic situation in Greece, structural reforms and their impact, as well as prospects for future negotiations within the Programme», that took place on Tuesday 4th of October in the Plenary of the European Parliament, as Members of the European Parliament, we would like to underline the importance of debt relief and the need for concrete measures which are going to strengthen Greece’s economic, social and environmental development. Greece urgently needs to leave behind the vicious circle of recession and deflation, and move forward with policies that enable both public and private investments and creation of high quality jobs. The responsibility for this lays upon both the Greek government and the Institutions. Whereas there is a consensus today among leading economists regarding the need for debt sustainability, yet among the Institutions there are diverse views how this sustainability can be achieved. As you are aware, the IMF has a presented different analysis from that of the EU institutions on this matter. The resulting uncertainty hampers Greece recovery. Any further delays regarding the beginning of a concrete and conclusive dialogue on debt relief could have devastating results on the Greek economy and counteract even the modest decrease of unemployment and poverty levels and delay any improvement of the social and economic situation for the coming period. On 23rd September, the IMF has declared further debt relief based “realistic assumptions about Greece’s ability to generate sustained surpluses and long-term growth” will be needed in order to restore sustainability. Debt relief is an important step of the effort to put an end to Greek crisis. Debt relief discussions, as part of the agreement, have to be opened as soon as possible, concluding by the end of the year with a clear road map for debt relief for Greece. It is a precondition not only for the necessary economic and social boost, but also to limit the financial needs of the Greek Economy and therefore create fiscal space suitable for public and private investments. We, the undersigned MEPs, strongly believe that Greece needs a stable macroeconomic environment. Therefore, Greece needs to leave behind the austerity measures once and for all, creating the conditions of exiting the programme, which should be the last one. Greece needs to focus on making the most out of the Structural Funds that have to be significantly increased especially for countries in crisis, and to surge the degree of security for the people, especially the most vulnerable ones. In the context of the future negotiations between the EU Institutions and the Greek Government, we urge you to take these views into account, for the benefit of all societies and institutions. We are looking forward to further discussing with you on this matter.